Are you shopping around for gyms in Nairobi? Well, here is my review of a gym that made me fall in love with going to the gym and helped me to lose 38.5 kilograms in a year and a half. Enjoy! I am thoroughly in love with the gym I go to! I have been a member for over four years and, truly, I can’t imagine what would ever make me go elsewhere! I love Body N’ Soul, that’s its name by the way, because it is extremely clean, has a lot of space, and has great machines. The towels are always neatly pressed; the instructors are professional and knowledgeable; and the gym is always open when you most want it to be. Located at the corner of Argwings Kodhek and Chaka Road, not far from Yaya Centre, Body N’ Soul is the epitome of easy gymming. In a convenient location, with adequate parking space, long opening hours, and sufficient training machines, Body N’ Soul allows you to pop in, attend to your fitness needs, and then pop right out. 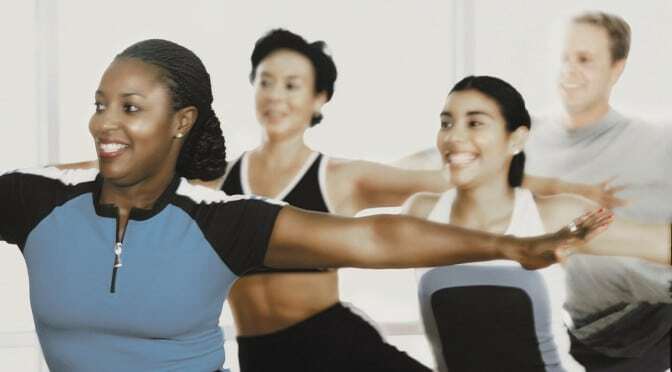 How Do Body N’ Soul’s Rates Compare to Other Gyms in Nairobi? Although membership prices at Body N’ Soul have been steadily increasing over the years, I still find that Body N’ Soul offers one of the best value-for-money packages among credible gyms in Nairobi. Do you gym regularly? If so, do you have a gym that you are happy with? If you don’t and are looking among gyms in Nairobi for one that’s convenient, easy, and serious about fitness, then check out Body N’ Soul. It might be just what you are looking for. P. S. To be sure not to miss future posts on ChickAboutTown, sign up now to receive posts directly by email. Previous PostTamasha Hurlingham, Nairobi: Sunday Jazz NightNext PostCasablanca, Nairobi: One of Nairobi’s Best Nightlife Spots? Body & Soul is a fabulous gym. I used to be with them when they were across the road on Arwings Kodhek Road’s Studio House, but decided not to continue with them after their closure. Sadly the place does not a swimming pool which to me is a necessary component of a gym. I did see the large empty space they have at the back where mostly cars are parked. Any new development Biche? Yep, their closure was a problem for their members. I joined other gyms during that time, but nothing was as perfect (for me). Where did you end up going? Serena Hotel, although commute is an issue. They do open early though, 5:30am which is a good incentive for me. Preferably I’d love to move to Silver Springs’ Gym and Spa which is equally good and has jacuzzi & swimming pool, but its too pricey for single or even couple. Managed to get hold of three of my neighbors to sign up as a corporate entity(minimum 6 person), are you interested? Do check it out and let me know. What’s the gym like at Serena? How much? How can I get information about this place? Do you have photos? Can you get there by bus? Are you in Nairobi? If so, then I advise you to just visit Body N’ Soul Gym to find out more about its services and to get price info. Yes, you can get to Body N’ Soul by bus. Take a bus going to Yaya Center (or Kawangware) from town (that would be a matatu or bus number 46) and get off on Chaka Road (the stop right before Yaya Center). Body N’ Soul Gym is located at the intersection of Chaka Road and Argwings Kodhek, across Chaka Road from Chaka Place. I felt like i needed to drop a line, for real! actually, I’m living in Nairobi since sunday and I’m here for 2 years. As soon as i knew I’d be living here, the first internet research was about the gyms in Nairobi… that’s when i saw this page. and guess what i discovered, my residence is on Arwings Khodek road! How great! Though tomorrow’s Moi day, I’ll go and see if it’s opened, something tells me that i’ll love this gym! Welcome to ChickAboutTown and to Nairobi! I hope your next two years in Nairobi will be a blast! So did you check out the gym? What did you think of it? Body and Soul is one of the better gyms in Nairobi – well perhaps I’m only saying that because it’s the gym I go to as well. Thanks for sharing this information. I am sure it will be useful to anyone who reads this post. I would like to join your Health Club. Please send me your latest prices. For the latest rates, please check Body N’ Soul’s website: http://www.body-n-soul.net. If they haven’t posted their latest price information there, then use their contact information to contact them directly. and report back. Thanks for posting rates/schedule. Very useful for newbies like me. This site is intended exactly to help people like you (newbies to cities in East Africa), so it’s music to my ears when I hear that you found any of my posts useful. Please keep reading ChickAboutTown regularly, and don’t hesitate to submit any queries my way. As for the rates and schedules, I wish I could take credit, but in this case the credit goes to my readers who not only read my blog but also submit useful information to share. Thank you for this, my readers! With time, I know we’ll build a phenomenal resource center here on ChickAboutTown! Last but not least, welcome to Nairobi! I wish you as enjoyable a stay as I have whenever I am there. I know this a long shot but Im hoping you can help. Im based in the UK and looking for 2 well qualified personal trainers in Nairobi to help me with a course in May. There will be plenty of follow up work as well. Do you know of any personal trainers in Nairobi who may be interested? Hmmm…yes, you are right – it’s a bit of a long shot – still I’ll see what I can do to help you. Off head, although I can’t think of any personal trainers, a particular physical trainer comes to mind. Let me forward your query to him and if he is interested, I will forward his contacts to you. I am not sure what you mean by well qualified, though, because I am not a fitness buff that way, but I am sure you can work out the details once you get in touch. Otherwise, maybe one of my other readers might be able to give you a lead. Anyone? I wish you luck finding what you are looking for. Are you still looking for trainers? I am based in the UK but my boyfriend is in Nairobi and he knows some very good trainers. Please let me know. Thanks for sharing a lead that might be useful to another reader. I hope Adam is reading. I am a personal trainer and am very interested.I just happened to come across this blog and am very interested. Welcome to ChickAboutTown! (And please excuse me for the lateness of my reply. :-)) Karibu Nairobi! Unfortunately, I have no clue about Pilates instructors anywhere in Nairobi, though I am sure they must exist. Does anyone else know more? If you haven’t had any luck finding an instructor yet, I recommend that you visit a reputable gym and inquire there. They might know a little more since fitness is their area of expertise. I wish you luck and look forward to seeing more of you here on ChickAboutTown. Thanks for the posting. Are there any gyms in the Westlands area that you can recommend? Welcome to ChickAboutTown! I apologize that it has taken me so long to respond to your comment. About gyms in Westlands, I can’t recommend any personally because I have never been a member at any, though I can give you a number of suggestions that you might want to look further into. From the net, I found this recommendation for gyms in Westlands, in the Mashada Forums that seems quite reasonable. Otherwise, the first gym that came to mind when I read your comment was Arena at Sarit Centre. Although I have never been inside the gym, I know people who used to go there and were happy with it (though I imagine it might be pricey). I’ve also seen a number of promising-looking gyms while driving along Rhapta Rd. in Westlands. You might want to check those out too. I hope my response doesn’t come too late. If you do find a gym that you particularly like, please come back and share this information with us for anyone else who might one day find themselves in your same situation. Sadly, I think the area you are looking at will generally be expensive. I personally can’t think of a good, much-better priced gym in the area. Might anyone else be able to help Mzee? I am sure he would appreciate it very much. Why are you not confident about registering at a gym? What is it that you fear? Welcome to ChickAboutTown! If you are looking for a gym near Mikocheni A, have you tried the gym at Mayfair Plaza? I don’t know much about it, but I have heard reliable people tell me that they go there and I’ve never heard them complain. You might want to check it out if you haven’t already. Please send me your membership rates. Welcome to ChickAboutTown! You’ll have to contact Body N’ Soul directly for those. Their contact information can be found at the top of this post. Body building Supplements available at http://www.muscleconnect.net. This is kenya’s leading body building supplement store.visit the website to find out more. To both of you, welcome to ChickAboutTown! Kristopher–thanks for sharing that website. Maurine–Sorry, but I am in no way affiliated to Body n’ Soul. If you are interested in working at the gym, try to contact them using the information at the top of the post. Impala Club has a great gym! Body N soul keep changing the masseuses all the time!!! whys that?????? Hi? am a student in K.U doing Recreation and leisure management. Am in third year second semester and as per now am in long holiday. I have done aerobics and dance, calisthenics and weight training and management of equipment and other gym courses. Is there any job opportunity in your gym where I can work and get a few coins to help in paying my fee. Thanks in advance. Welcome to Chick About Town! It seems Body n’ Soul fell into some trouble mid-last year and either closed or relocated. Check out this tweet: https://twitter.com/robertalai/status/599532606628179968. Sorry, I can’t tell you any more. Nice job! I however think there’s an increasing trend of people jogging late in the evening after work. Is that good enough? Hi all, is there any Gym with instructors around Yaya Center? I want to join and start getting in shape ASAP. Please provide details!! !